Bronze medal at World Muay Thai Championships! In the quarterfinals of this tournament Paweł defeated the German representative in the first round. In the semi-final after a tight and even fight against a physically strong Iraqi – he lost after four rounds, the non-uniform decision of the judges. Thus, Wergi won the bronze medal. The championships were held at the Nimibuth Indoor National Stadium. 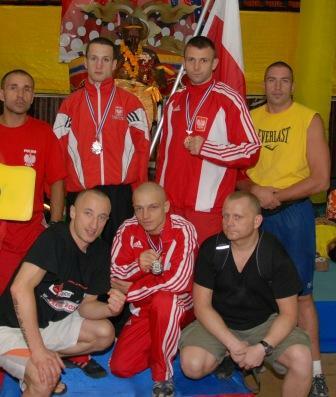 Poland was also represented by Michał Tomczykowski and Marcin Parcheta, who won silver medals – congratulations!